Leaves Are Changing...New Hair Color? The leaves are changing and when was the last time you had a new hair color? This fall I am mesmerized by the “how” the leaves change their color, and like kid in school, keep asking my 14 year old daughter if she knows? I always have loved science, and when you can combine that with inspiration then fun things can happen. As I do not have the answers, yet, on how the color of the leaves change….I certainly am grounded in hair color. The beauty of all shades of hair color is the fact that there are so many, many shades. All hair color will shift or fade some. That is not always a bad thing. When hair color shifts to a slightly different color, that can be a great transition to your next new look. How fast do you want to shift your color will be dependent on your own comfort level. It is not without saying that if you are looking to shift quickly…….then your best bet is to choose an actual hair colorist. The t.v. commercials tend to make things look so easy, and with that do I get a tad bit frustrated. I get frustrated for the consumer. 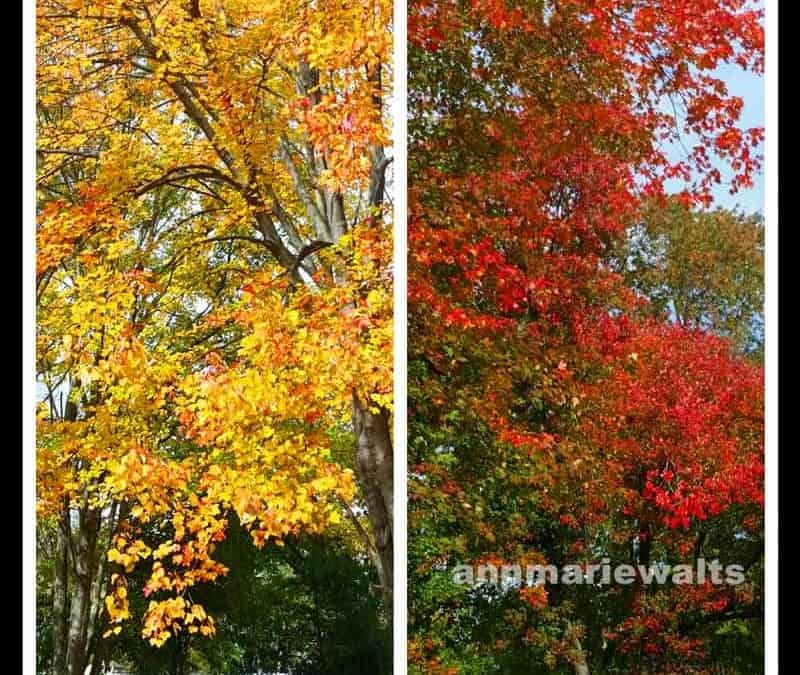 As much as a photograph of fall leaves may seem a bit odd….is it really? How many times have you gone to a store like Home Depot to get paint mixed up or matched. If you look closely at the photograph of leaves, what and where is your eye drawn too? 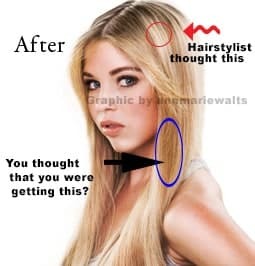 Now think of a time that you have brought in a picture to a salon and thought you were on the same page? If your outcome did not resemble what you were thinking then this is a tip that I can share with you. Hairstylists and hair colorists tend to be very visual people for the most part, or at least I am. When two people are looking at a photograph, it is possible that the interpretation may not be the same. In the example shown, a client may think that they were clear on the shade of blonde that they wanted but the hairstylist thought the shade blond was the shat that was about 3 shades lighter. Work with a salon that offers detailed consultations. Share what you do not like & especially when it comes to hair color! Fall in love with your hair color today. Start gathering your inspiration and make a change.